This is just a little toy to play around with Voronoi diagrams. 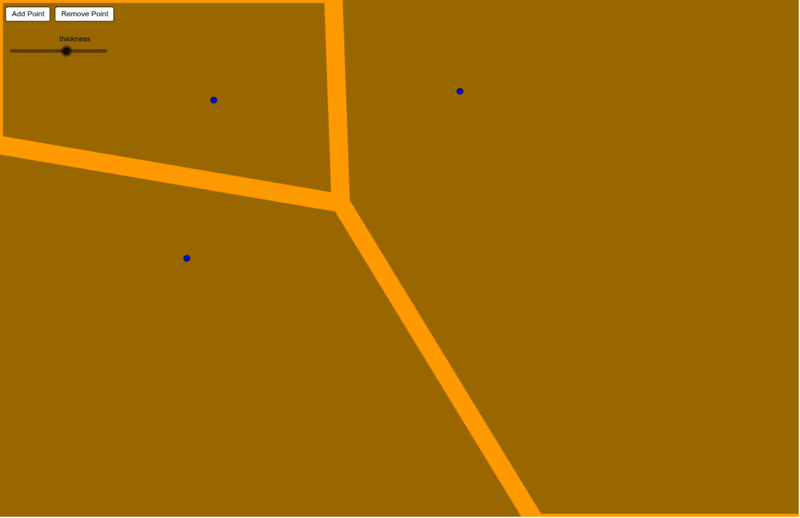 You can add and remove points, move the points around, and change the line thickness to get some interesting results. The colors are chosen to be suggestive of a giraffe.